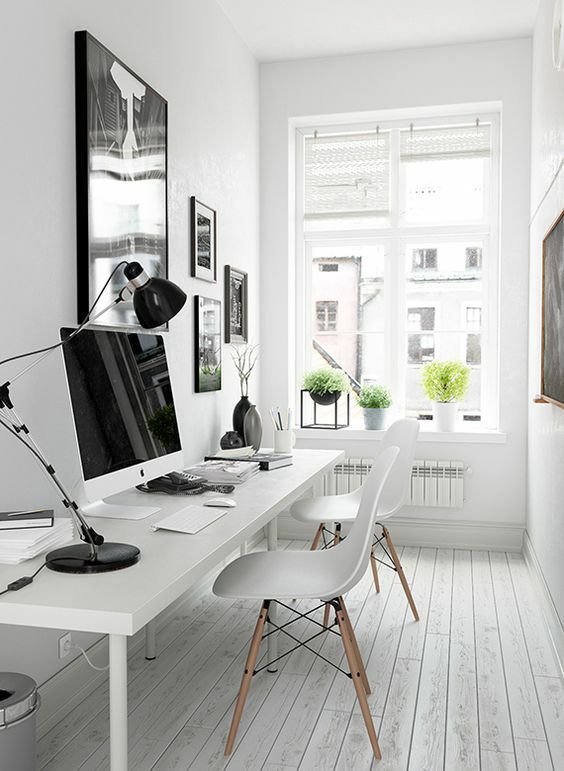 How to create the ultimate black and white office, on a budget! 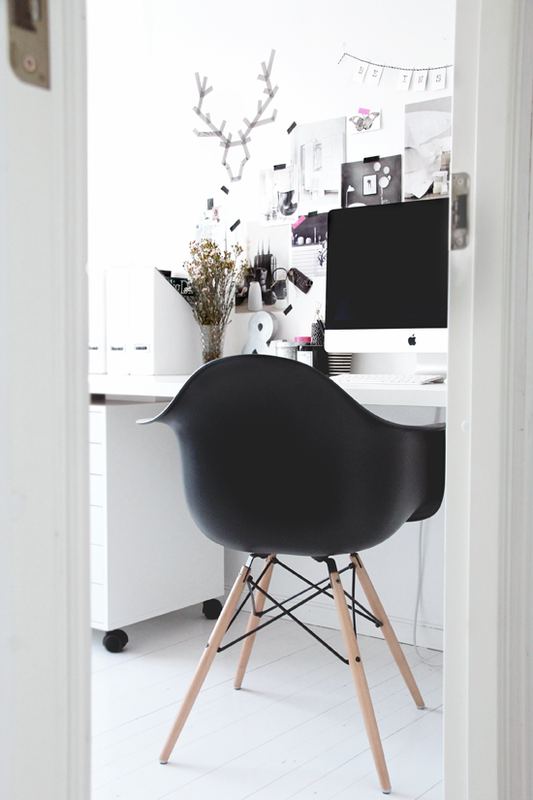 Home INTERIORS STUDY How to create the ultimate black and white office, on a budget! 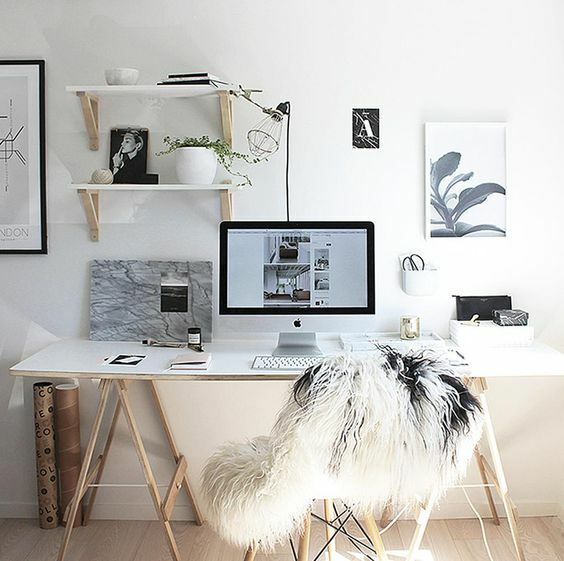 If you’ve thought ‘I wish’ when looking at those drool-worthy, perfectly styled monochromatic workspaces on Pinterest keep reading because today we’re going to show you how to create the ultimate black and white office on a budget thanks to Super Amart! Something all our favourite inspiration images have in common is that they are clean and uncluttered. To know what you’re working with, strip your room back to basics and create a blank canvas that you can begin styling with furniture and décor. When styling, they say it’s best to start with the largest items — get the room layout and orientation right before introducing smaller items and accessories. And the largest piece in the workspace? Most likely your desk! 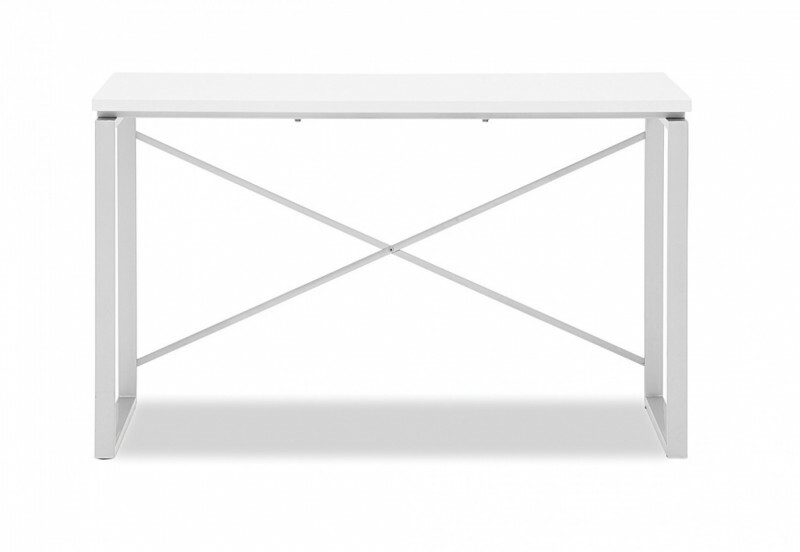 The ‘go to’ desk is sleek and white, like this ‘Ice’ desk available at Super Amart for a steal! Not content with just one artwork, our fave workspaces feature gallery walls or a scattering of artwork around the room. For inspiration on how to display artwork in your office, you might like to check out our tips on fresh ways to display art. If you’re renting, try using stick on hooks or if you’re concerned about paint flaking, simply rest artwork against the wall. We mentioned these offices are uncluttered and what better way to keep clutter to a minimum than with a caddy or filing cabinet?! Best of all, it creates a clean space on top where you can create a stylish vignette. Our top pick is this cute 3 drawer unit from Super Amart and for tips on how to create your own stylish vignette, check out this post by The Stylist Splash. Whether it’s succulents in concrete planters or small trees in pot plants, you can’t create a home office without a touch of greenery! Don’t stop at one, plants are one of the most affordable ways to style a space. And you can even make your own stylish planter following our DIY concrete planter tutorial here. So not OH&S approved but the most popular chairs seen in these monochromatic workspaces fall into the ‘dining’ category rather than ‘office’. Our bargain find is this chic white and timber number, available at Super Amart for under $30! 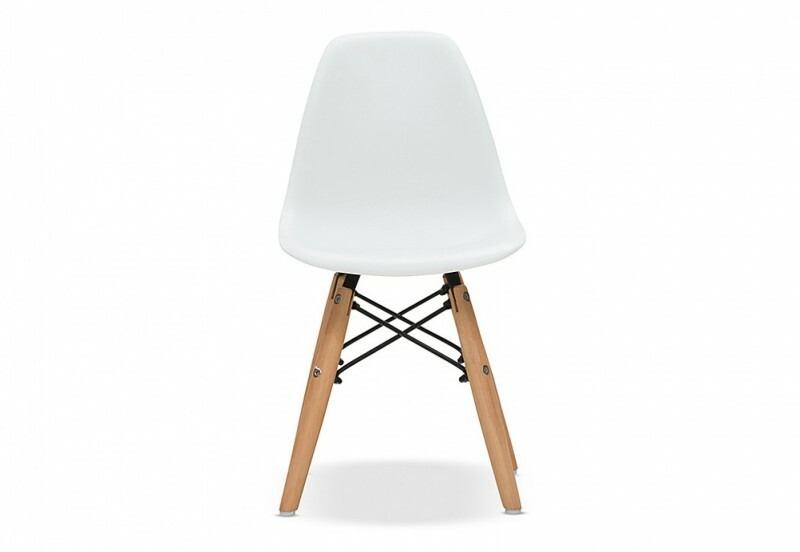 Of course if you care to look after your posture and want a proper office chair, there are loads of affordable options on their website too. Often people can be afraid to damage the walls of their home by hanging art and putting up shelves but these are minor things to fix if you decide to remove them down the track. Shelves are a clever way to add interest to any space and it seems they fit especially well in home offices, just look at The Design Chaser’s stylish home office below! Who says you can’t mix business with pleasure? Don’t feel you just have to stick to ‘officey’ things when decorating your workspace. Beautiful décor belongs in your home office just as much as any other room of the home. While our inspiration images contain super exy finds like designer candle holders for hundreds, you can recreate the look for much less by simply sticking to a black and white colour palette. 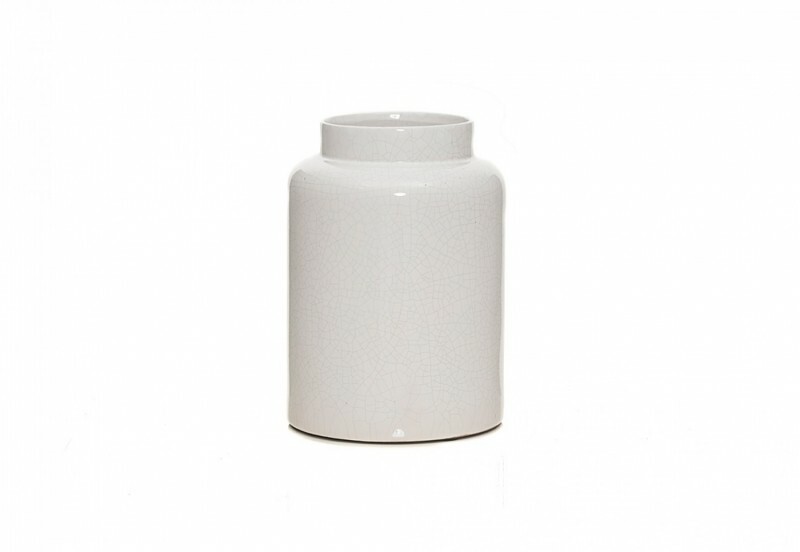 For example, a simple white vase like this Argan vase is less than $50. Add a luxe look by layering the space with soft textures. A sheepskin over the office chair or even a cork inspiration board can bring an element of softness. And last but not least, edit the space to see if there’s anything that could be improved, refined, removed or adjusted. Is one corner of the workspace looking too busy and another completely void? Often when you take a step back and look at the space objectively you can find areas to tweak. 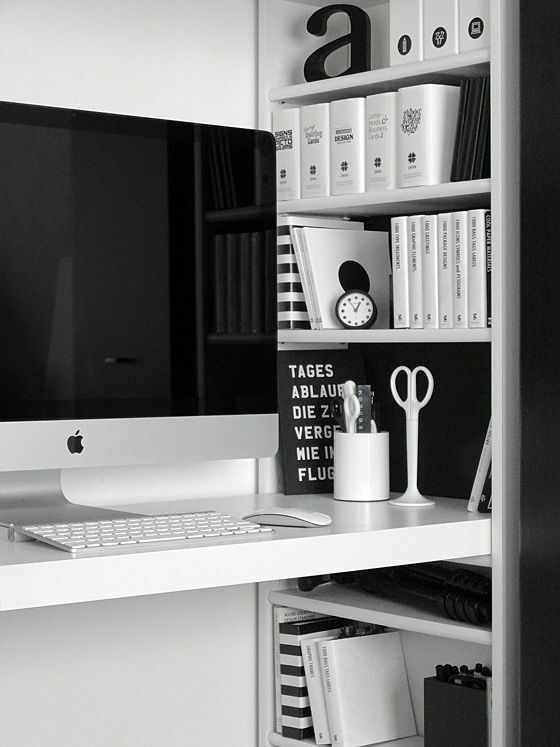 There you have our 10 step guide on how to create the ultimate black and white office on a budget. Have we given you some ideas to create your own? 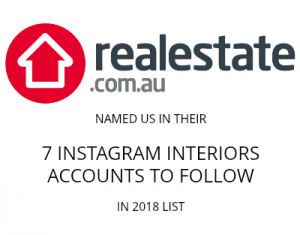 Thanks to Super Amart for supporting this blog post. Right now they have massive savings across their store in the end of financial year sale — what better time then now to get your home office in top shape! 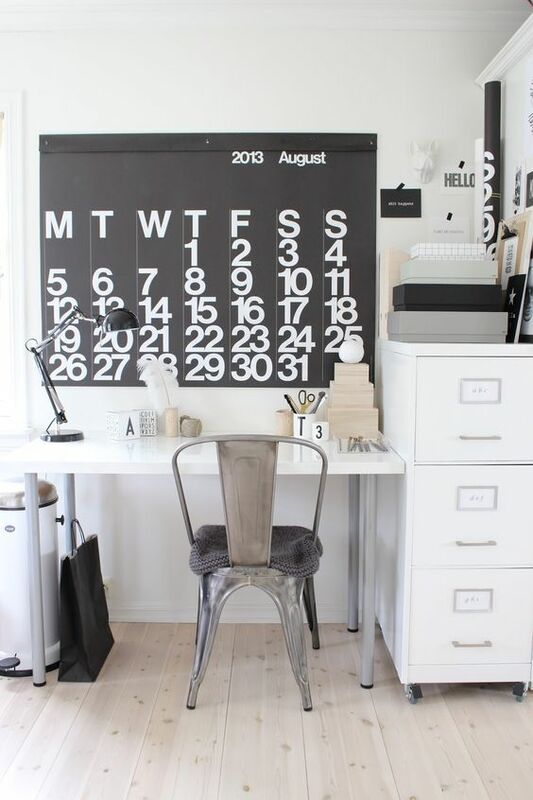 Great tips and such stylish offices, you should add your s to the list though! Oh that’s sweet of you to say Peta 🙂 Glad you found the tips useful! I like the idea here of using high end photos to plan a room using accessible options. I generally just buy what I like and can afford at the time with no real plan and then wonder why my home looks a jumbled. Might need to start using your approach! Love the black and white look and how you’ve added colour with plants and softness with textiles. Super Amart is great on price and quality. Looks fantastic!